Can Pit Bulls Be Nice? Most pit bulls are nice to people. Pit bulls can be nice given the proper training and socialization. Like all breeds, there are bad seeds with aggressive temperament. It's the pit bull's history with other dogs that may not make them the best choice for multiple-dog households. Historically, the pit bull was bred to be a fighting dog. The fighting history of pit bulls causes many to be dog-aggressive. All breeds fight dogs from time-to-time, even the friendliest and most playful dogs may fight. A pit bull may have a stronger reaction to the other dog if provoked and may be quicker to react aggressively. The bite inflicted by the pit bull is more likely to cause injury since the pit bull is less likely to hold back and because the breed is so powerful. Due to the breeds dog-aggressive nature and previous job skills, it's a common misconception that the pit bull is vicious. These dogs are usually people-oriented and love to cuddle. Their muscular image and public representation has given the breed the perception that it should be feared, but most pit bulls will not attack people. The pit bulls who do attack people likely have been abused to the point of no longer trusting people or they've been trained to attack. During the pit bull's fighting days, they were nicknamed nursemaid's because of their friendly and loving nature toward children. Today, there are several rescue pit bulls from bad backgrounds who live as trustworthy family dogs and some who serve as therapy dogs in hospitals and nursing homes. 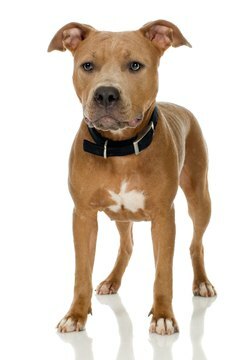 If an adult pit bull already has an established aggressive temperament toward dogs or people, it's unlikely to change. Socialization is an important element to teach a pit bull to be nice and it's most important that socialization begin between 7 and 16 weeks of age and continue into adulthood. Do not socialize your pit bull at the dog park since this breed can injure a playmate or take control during a playful situation that has turned into a fight. Instead, take your dog to puppy kindergarten around 10 weeks of age so play and socialization is structured and positive. A negative experience with another dog during the socialization period could lead to dog aggression during adulthood. 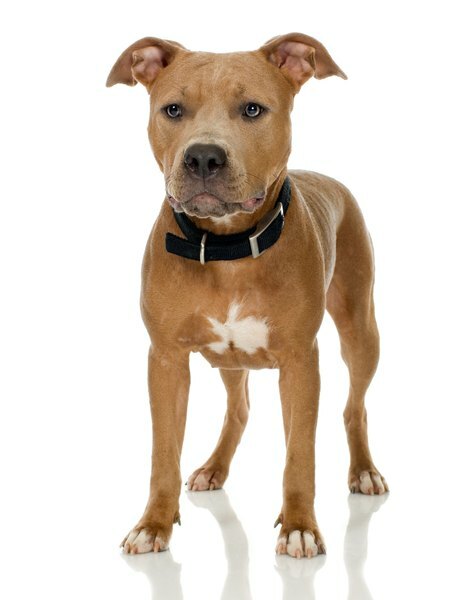 Pit bulls often see a cat or small furry animal as prey, so if a pit bull already shows aggression toward household pets, do not attempt to make your pit bull friends with that pet. Some owners have used pit bulls to enhance their own masculine image, which helped pave the road for this breeds' reputation. Some owners encourage their dogs to act aggressively or used training tactics that encourage aggression, such as hitting, kicking, alpha rolls and leash yanking. An aggressive response by a pit bull will cause a more drastic injury than most breeds because of their background and strength. Teach your pit bull to be nice by being a responsible, consistent and gentle pet owner who utilizes positive reinforcement as a primary training method. Can Pit Bulls & Cats Live Together?